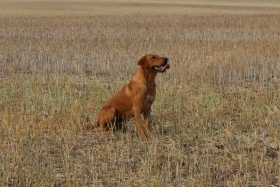 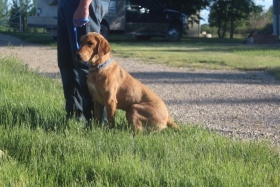 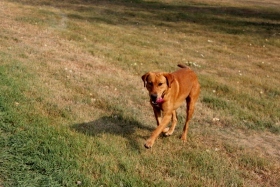 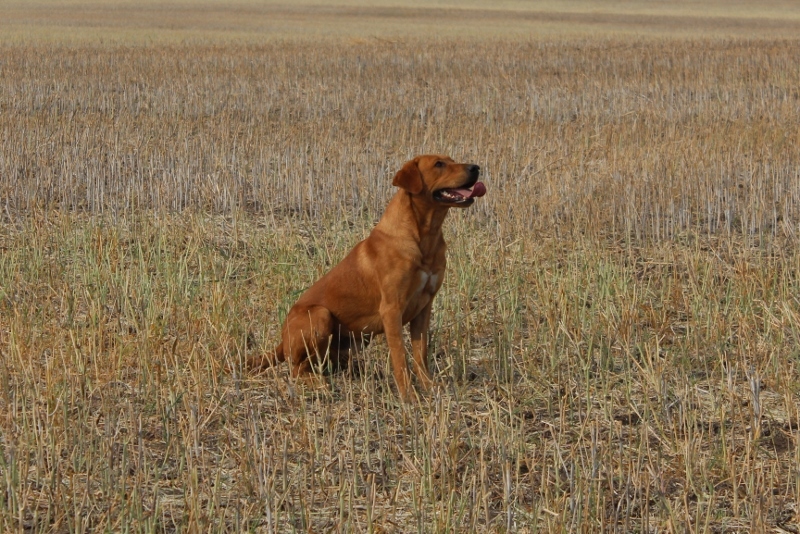 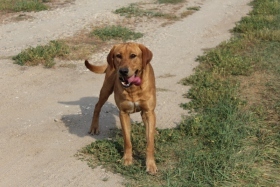 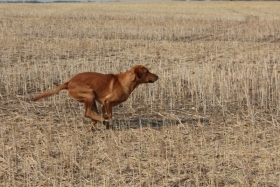 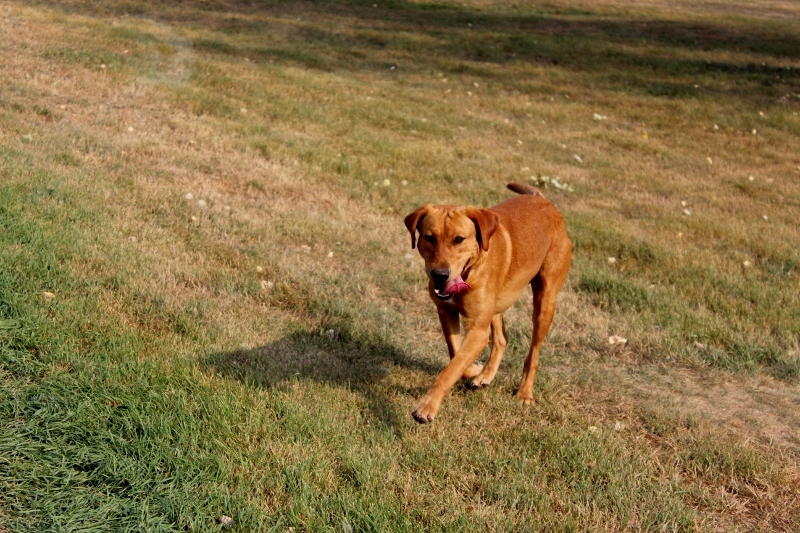 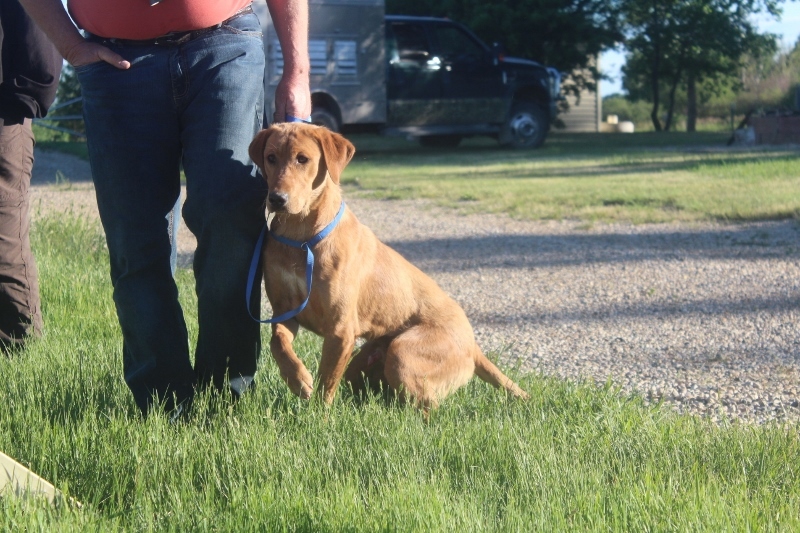 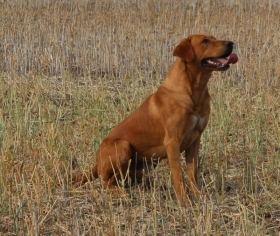 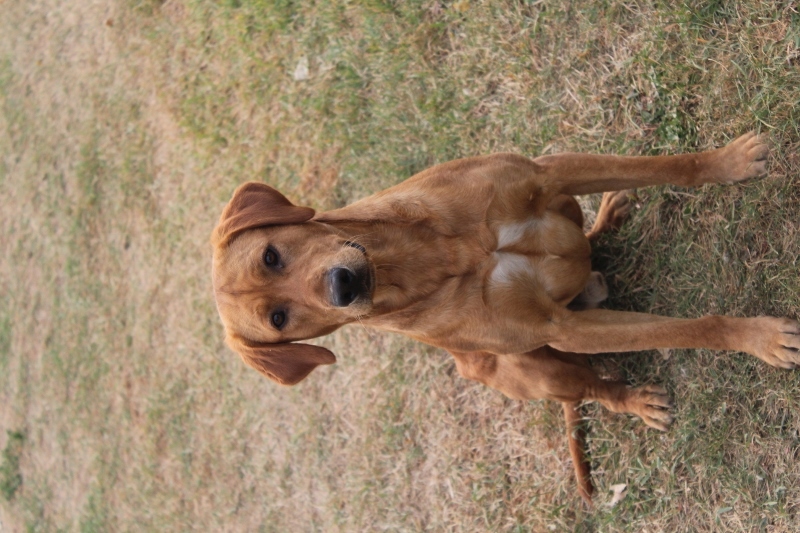 Sonic is a gorgeous fox red male who came to us from Razor Labs. 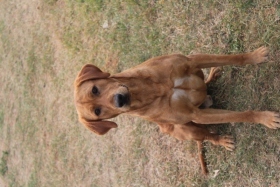 His dad is FC AFC Gunstock's Topshelf Snap Decision. 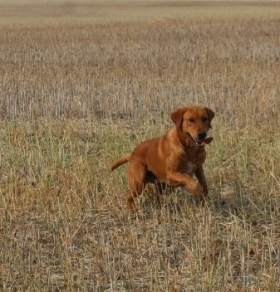 Sonic is everything we could have asked for in a dog; intelligent, hard working, incredible retrieving drive, healthy, and handsome. 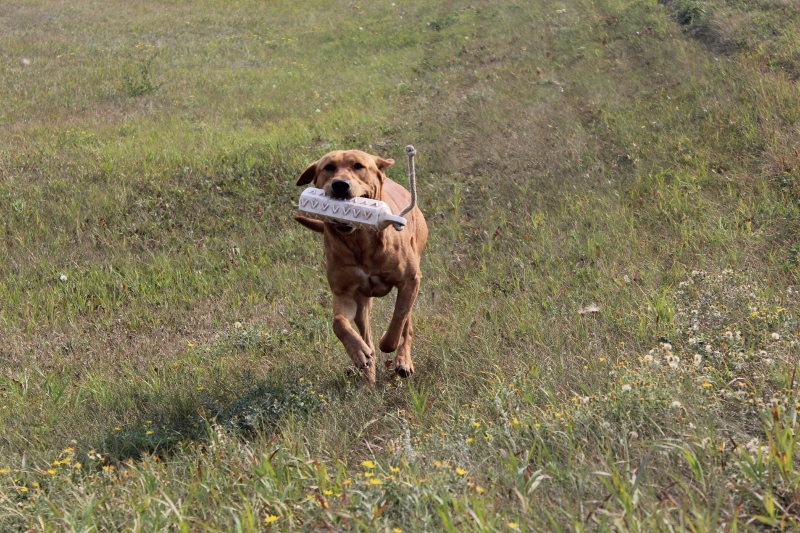 He is very athletic and lives to work. 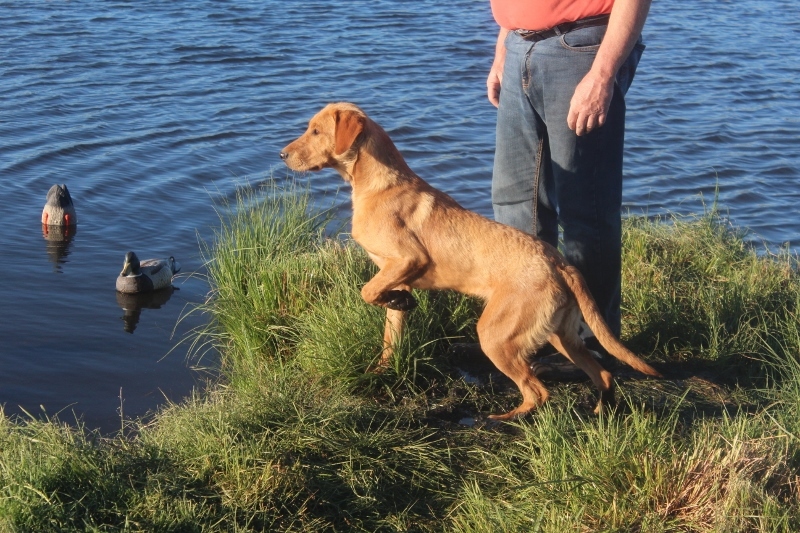 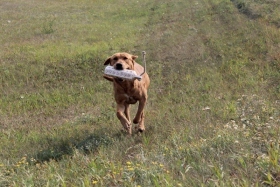 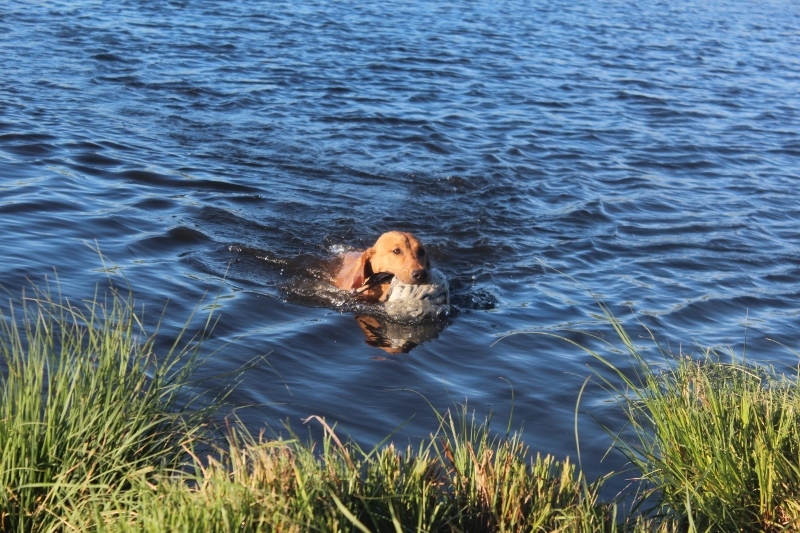 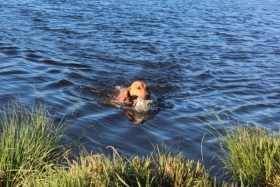 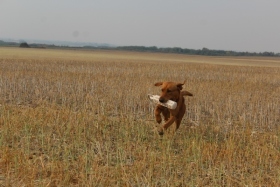 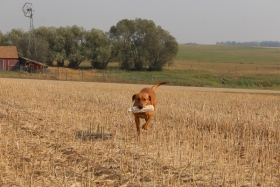 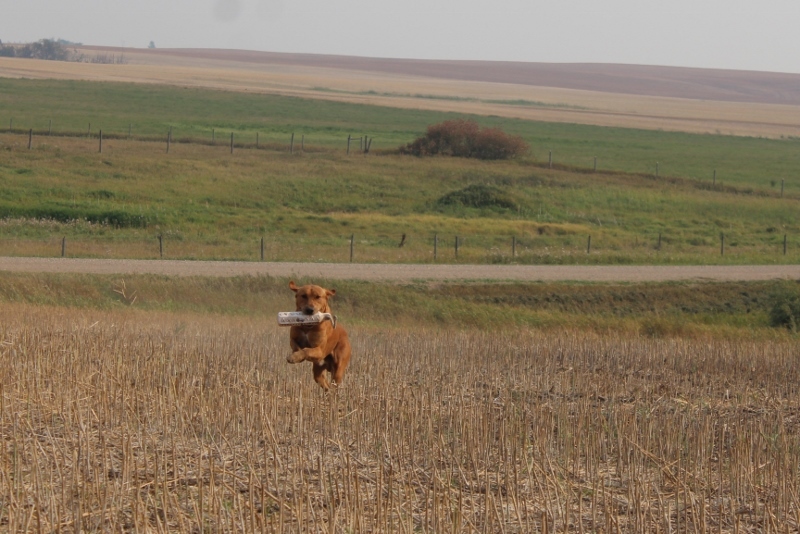 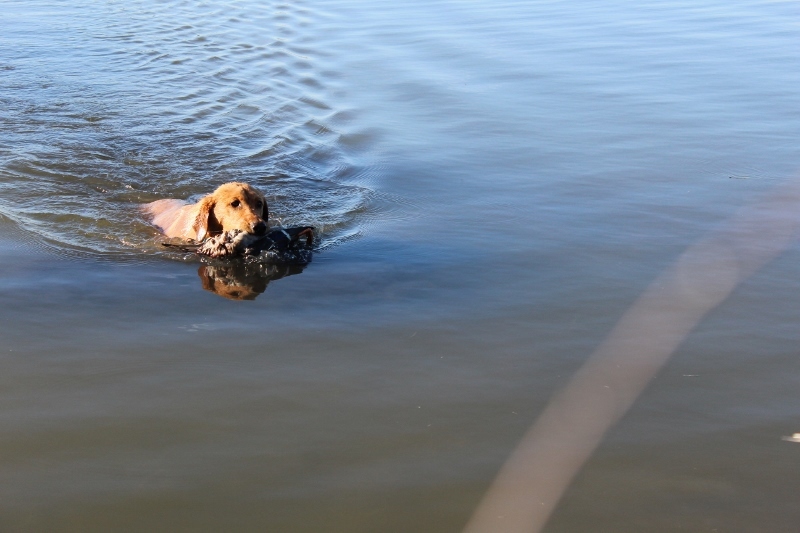 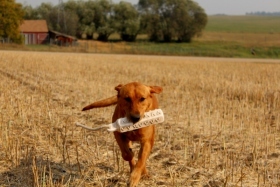 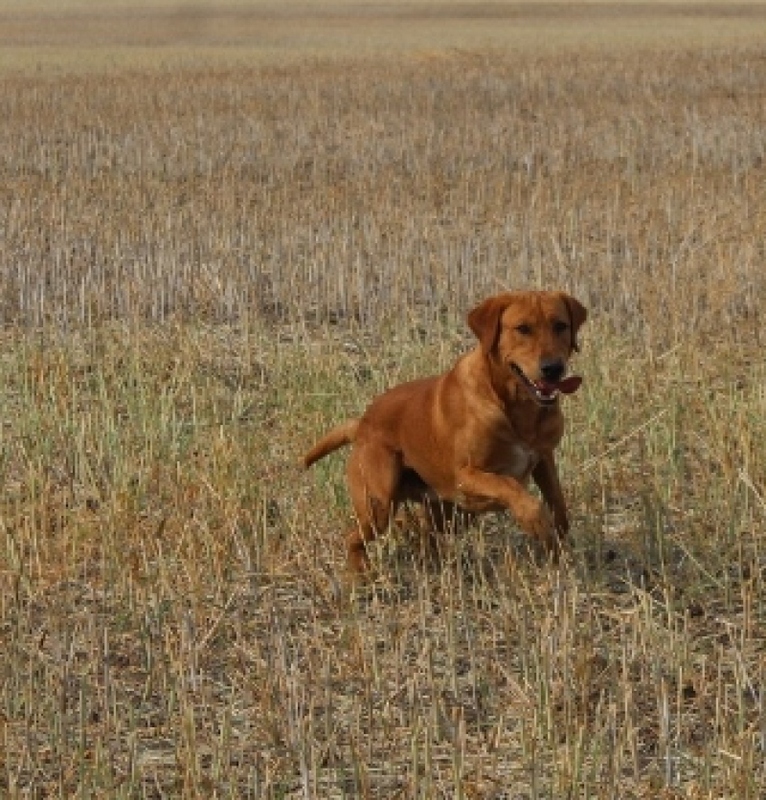 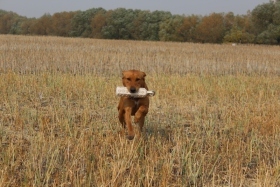 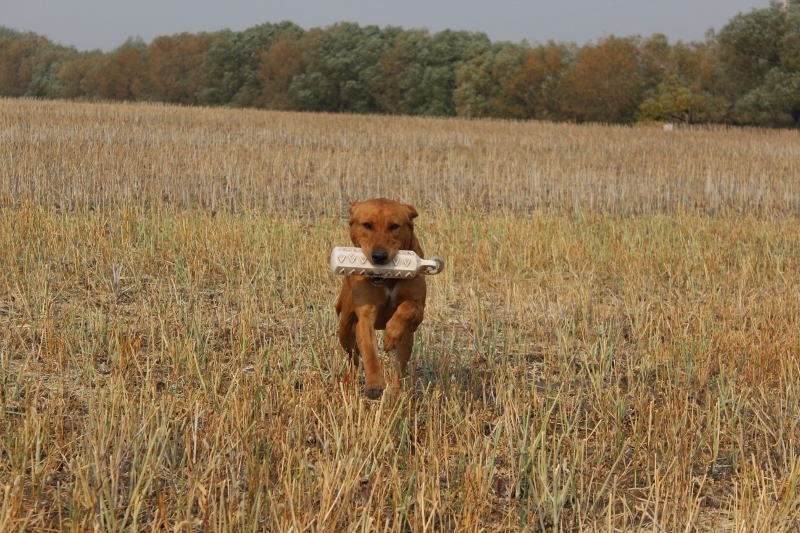 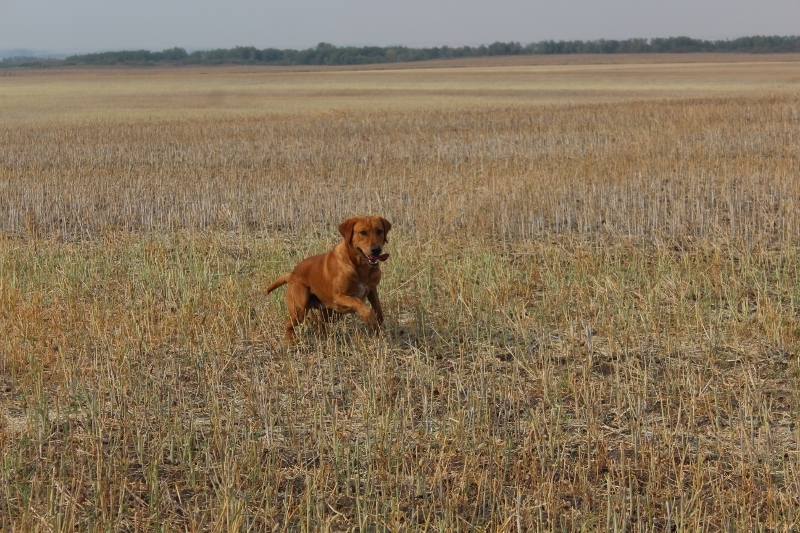 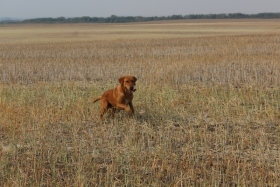 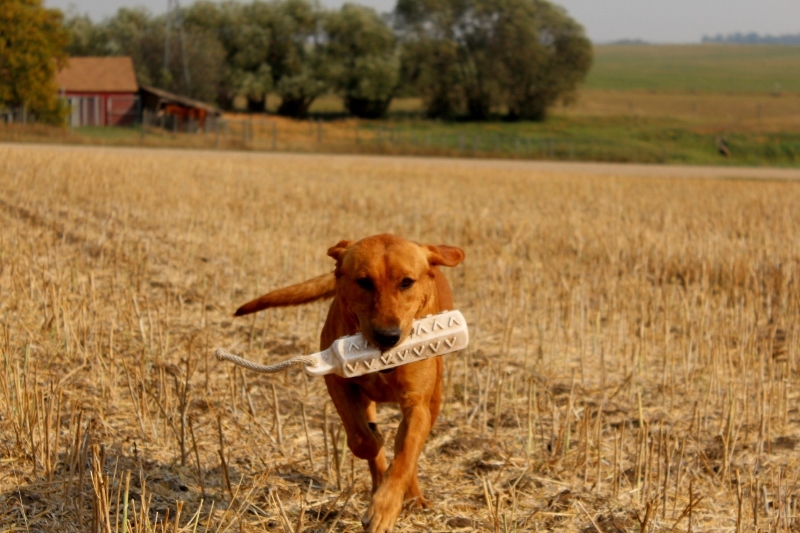 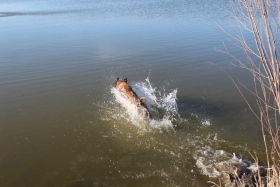 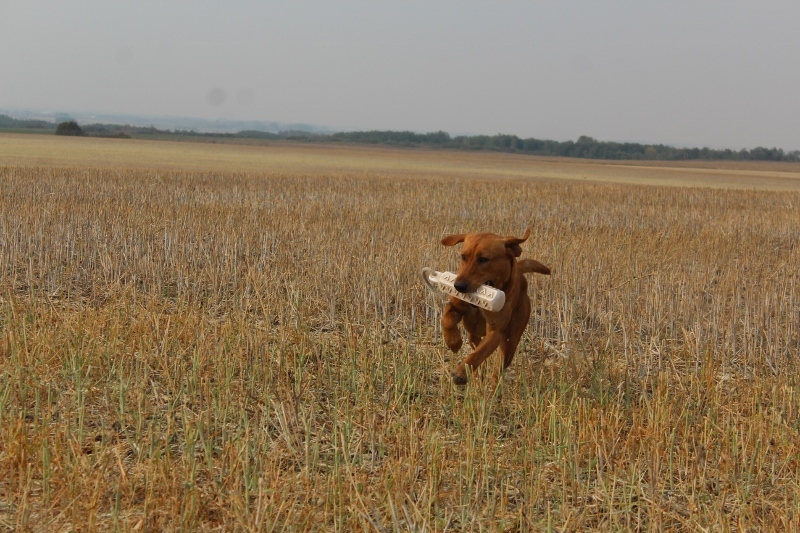 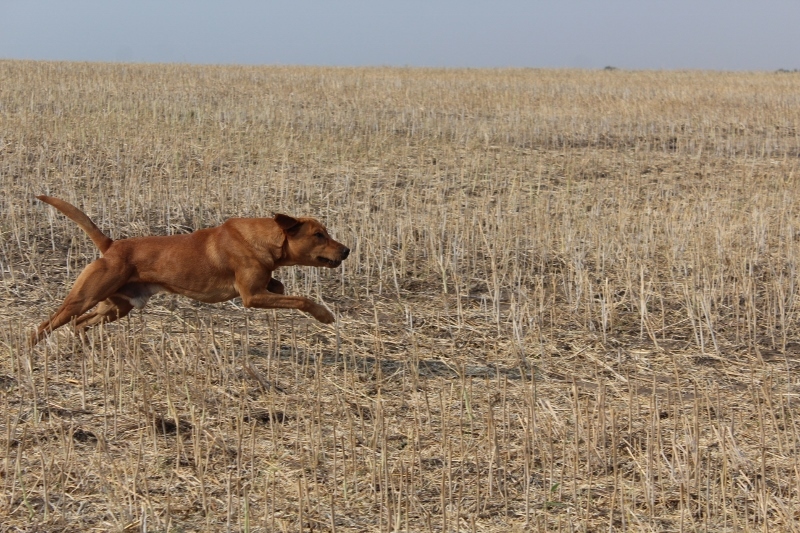 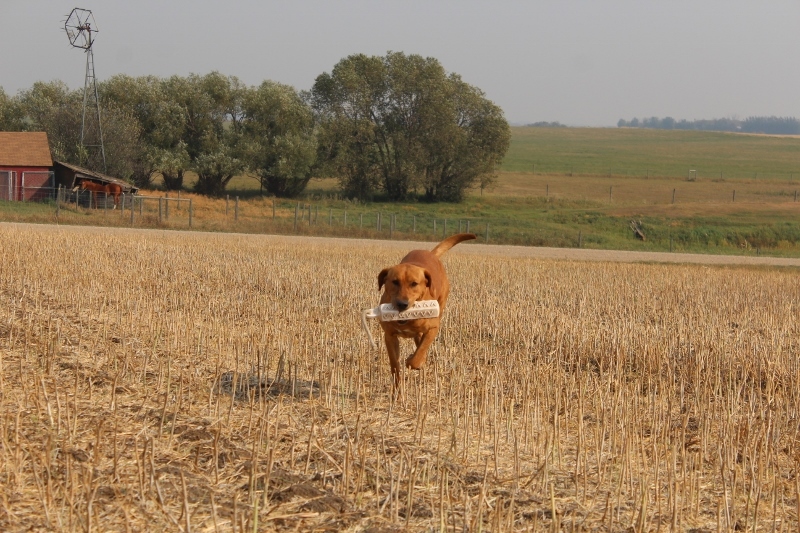 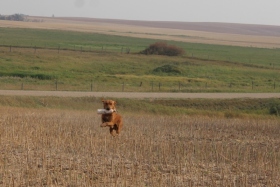 Retrieving is his passion and he has phenominal drive. 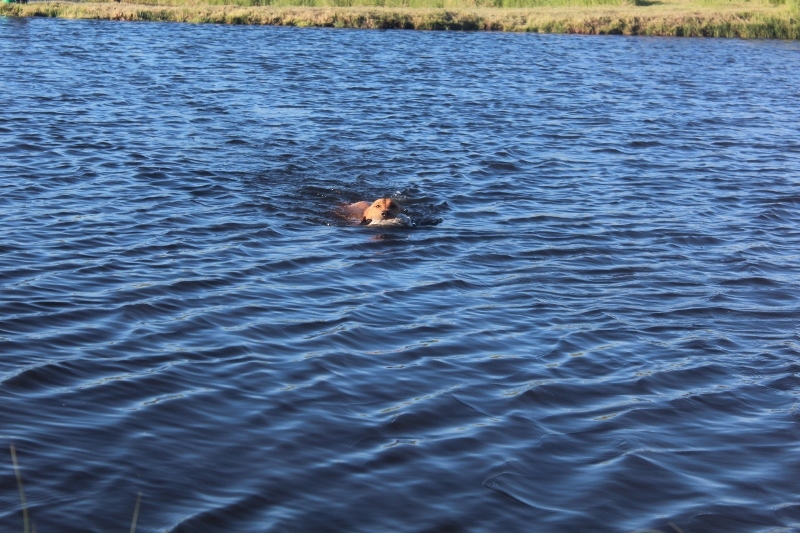 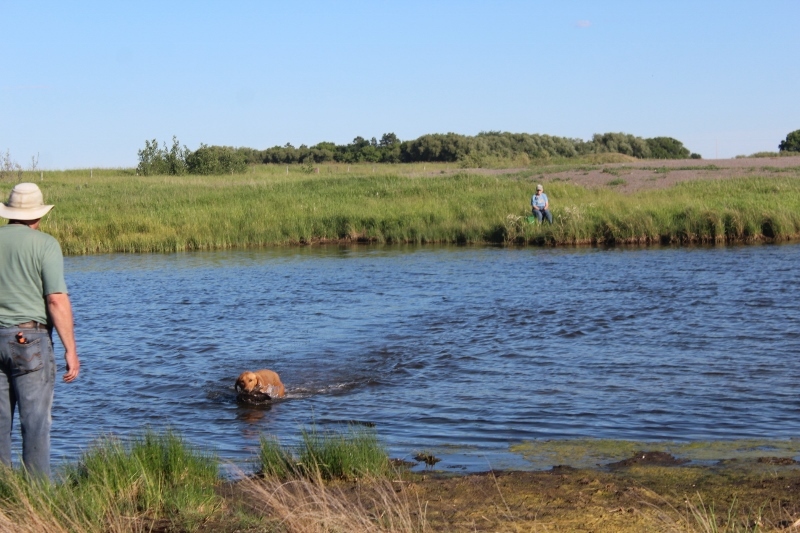 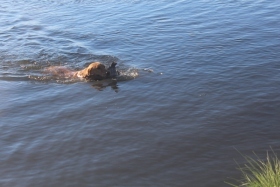 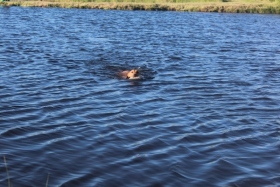 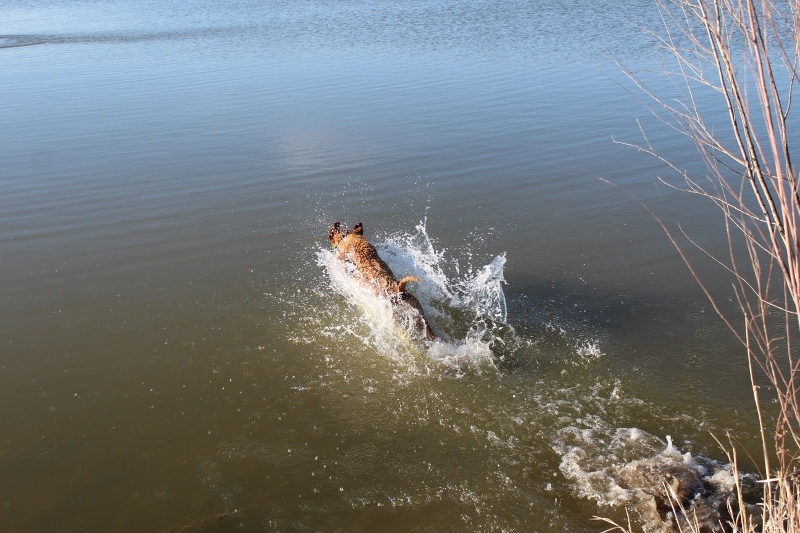 In the field Sonic is very focused, a great marking dog, and a good swimmer. 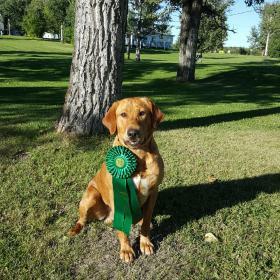 He obtained his Master Hunter title in the summer of 2017 at less than 2 years of age. 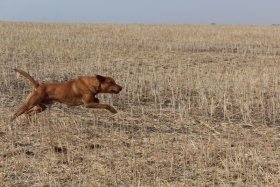 This is an amazing accomplishment for any dog but even more so because with our harsh Saskatchewan winters Sonic has only been in training from April-August 2016 and April-August 2017 and when he started in April of 2016 he was just doing basic obedience training. 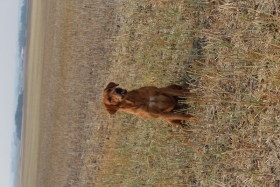 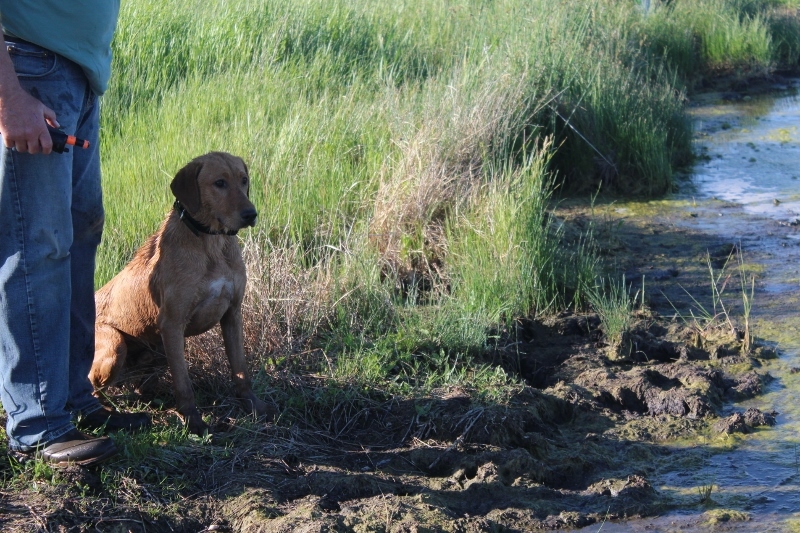 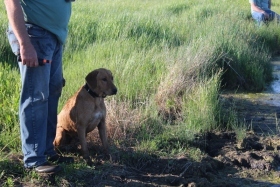 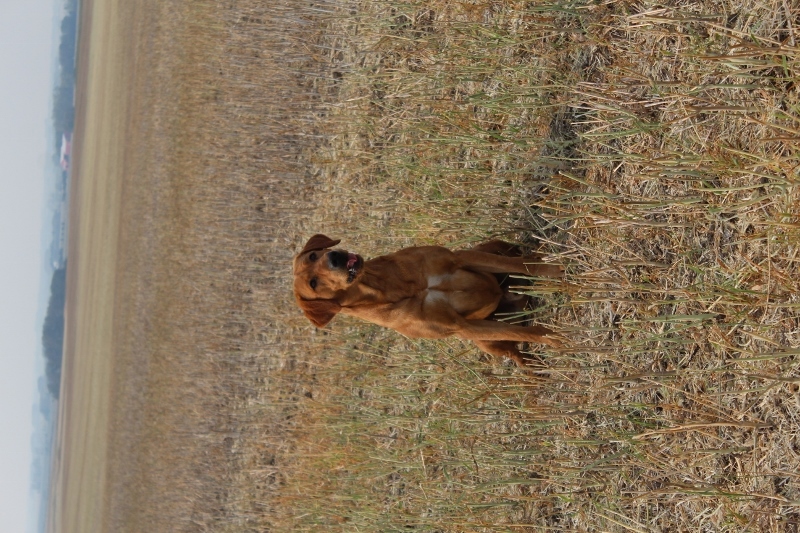 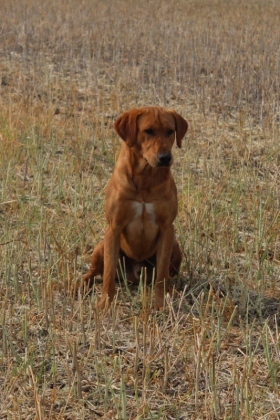 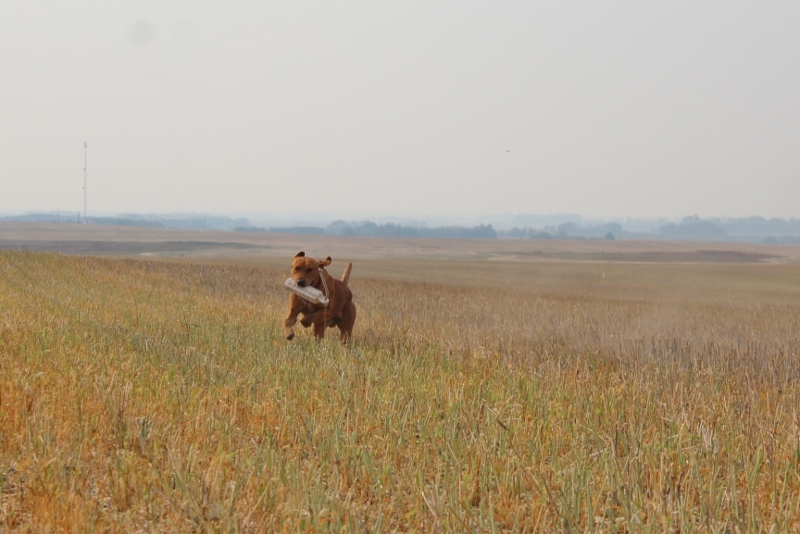 To master all the concepts so quickly to be able to advance to a Master Hunter before he was 2 years old shows what a fantastic dog he is. 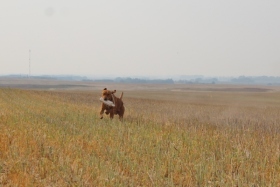 Sonic also received his first pass towards his Grand Master Hunter. 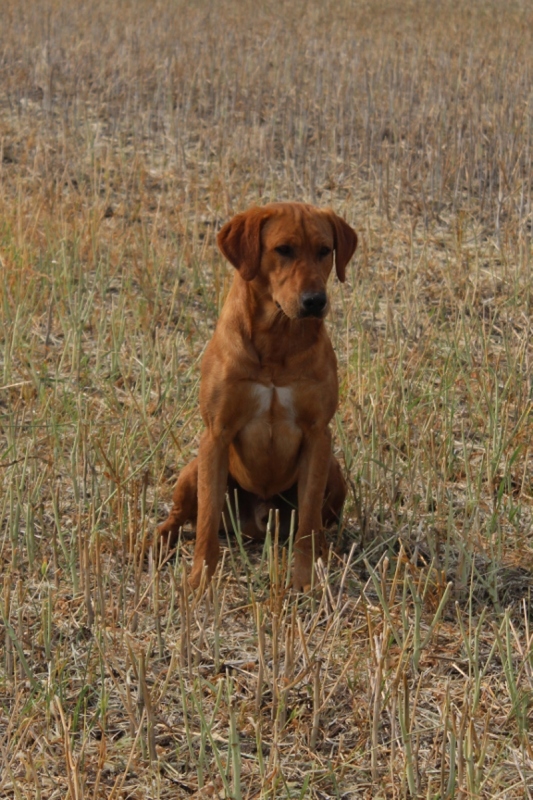 He will continue in upper level hunt tests in 2018 and work towards his Grand Master Hunter and his National Master Hunter titles. 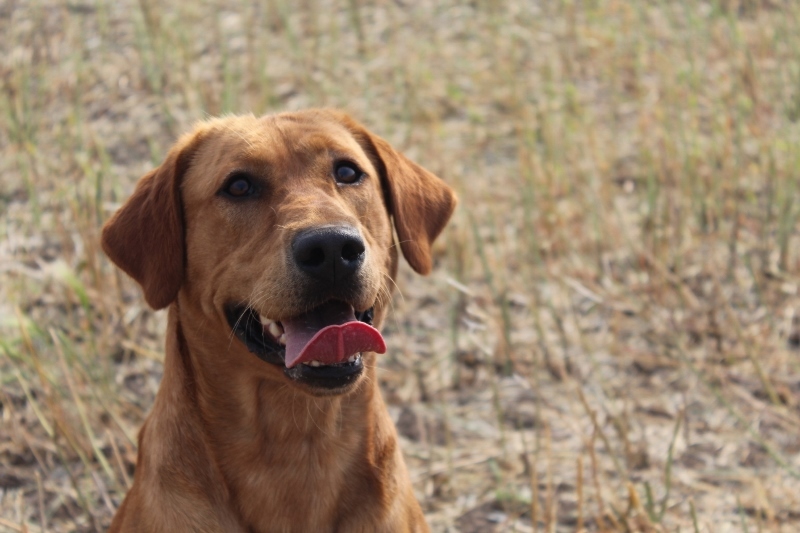 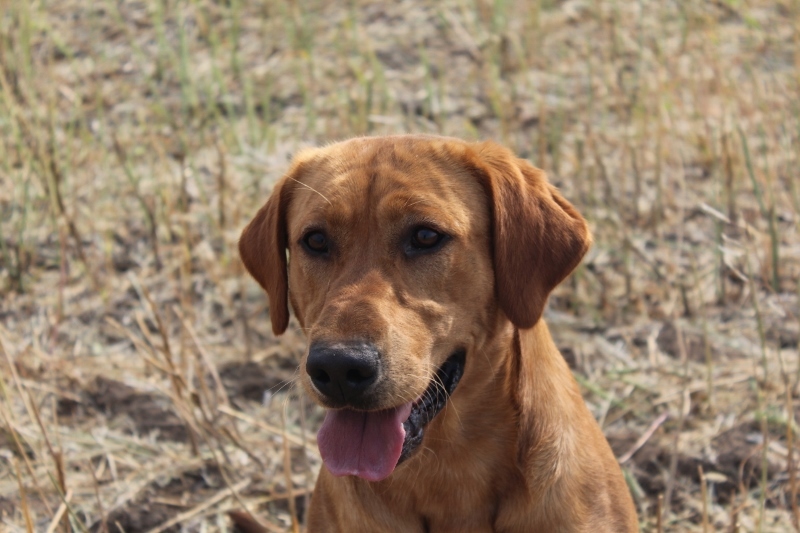 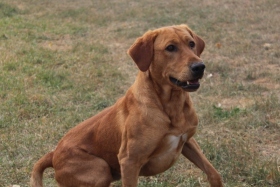 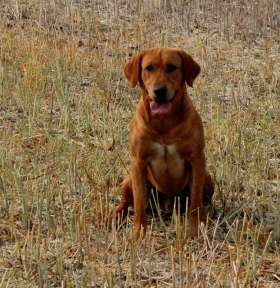 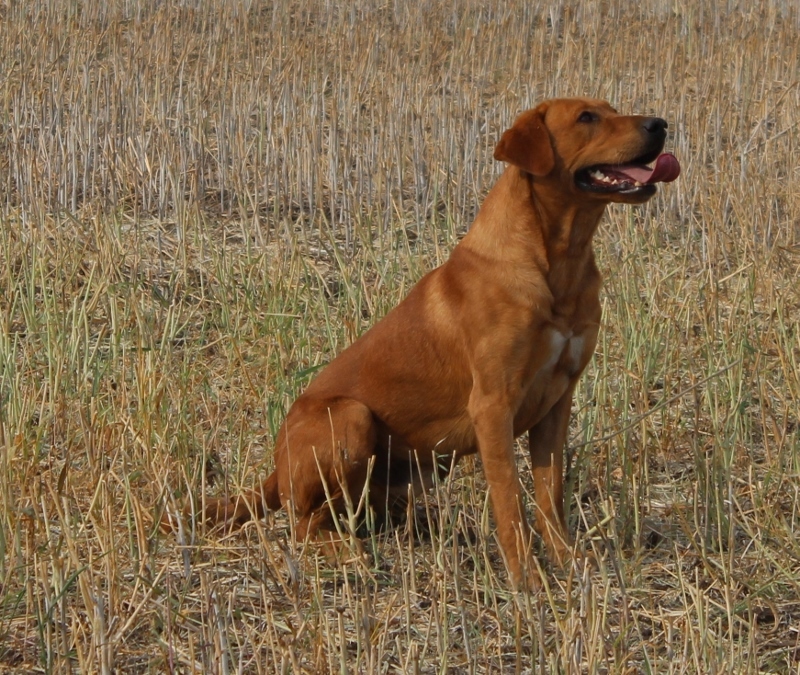 His puppies will excel as hunting dogs, hunt test or field trial dogs, search and rescue, or drug detection.